Here’s one we wrote earlier! When a client has a great PR story it’s good to get the interest of trade titles in its market sector. 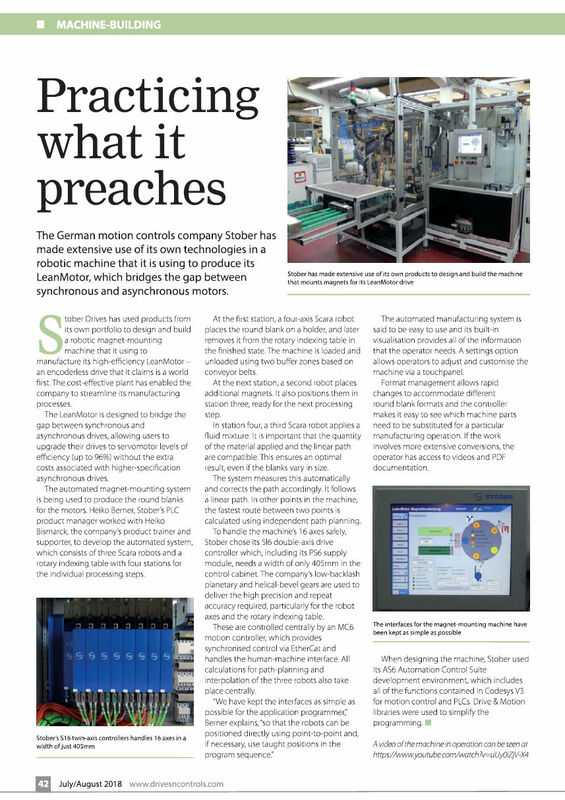 Three publications, Drives and Controls, Industrial Technology and Design Solutions, recently carried this story for geared motors manufacturer, STOBER Drives Limited. When STOBER sought to design a new automated manufacturing unit to make its new high efficiency LeanMotor, an encoderless drive designed to bridge the gap between syschronous and asynchronous drives, it looked for the best precision positioning motors and components it could find. These turned out to be its own automation products! This story, written by AdPlace PR, describes how the new LeanMotor manufacturing plant was designed and built using STOBER components and is just another example of the many quality press stories we have written for clients. 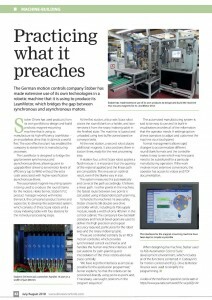 Download the full page PDF from the July/August issue of ‘Drives and Controls’ here.